The morning edition of The Mom Times is filled with all the love that’s fit to print. 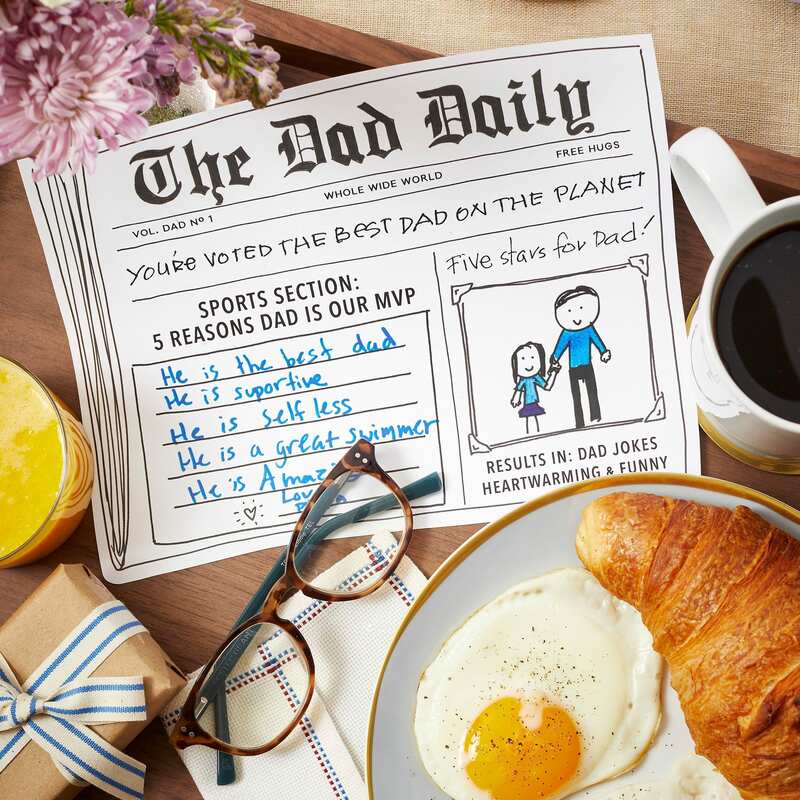 Just download this fill-in-the-blank newspaper Mother’s Day card, print it out and have mom’s budding journalists write the copy and draw the artwork. (You can also tape a photo into the space if you’ve got photojournalists instead of artists.) The customized craft will top Mom’s list of Best Mother’s Day Presents Ever. 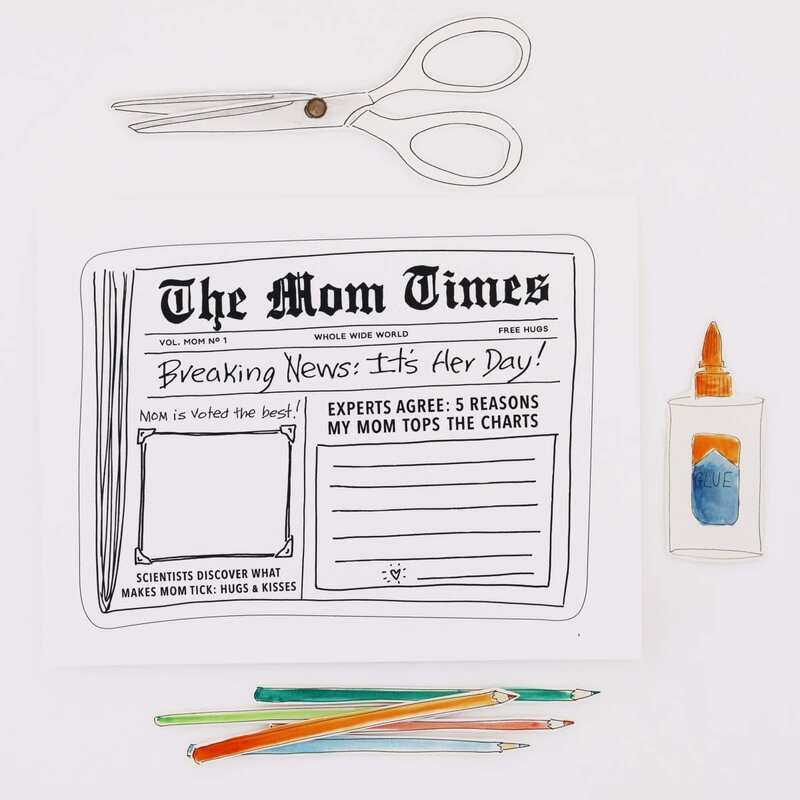 Step 1 Download The Mom Times template and print onto white cardstock. Step 2 Cut out The Mom Times. Step 3 Fill in 5 Reasons Mom tops the charts, and make your special delivery.